The most frequent question asked by our clients is, “What is the maximum rent I can get for my property?” This is similar to, “What determines the price of my home?” Of course, home price is affected by size, quality, neighborhood, age, style, color, upkeep, comparable sales, etc. The same is true with cell tower lease rates. However, there is much more complexity when it comes to a cell tower lease because it involves technology, legal, engineering, wireless carrier marketing, and business/professional/personal motivations of roughly 30 professionals assessing and evaluating the cell site’s contribution to the wireless carrier’s network. Remember that a single site is merely a component of a much larger engineered cellular network that has been evolving in the past 30 years. Why Is A Cell Site Needed? RF engineering department sees the need to build additional sites because of new construction in homes, businesses, or venues. Excessive dropped calls, poor quality phone calls, or slow data download speeds are identified in certain areas due to low cellular coverage. RF engineering department wants to optimize spectral efficiencies by moving some cell sites around to reduce interference. Freeway coverage needs improving to fix a known dropped call areas. Building coverage needs improving for surrounding homes and businesses. Data capacity throughput needs to be improved so that wireless users can have faster data connections for audio/video uses. From these eight primary sources of new cell site requirements, engineers design new sites and provide search rings to the real estate department to acquire a site location meeting engineering guidelines. Each search ring usually contains three real estate sites that would be acceptable to the engineers, in the order of engineering preference. This is because engineers do not know if a site is leasable, can be zoned, or is constructible (and at what cost), so they issue three sites in case the first two sites fail the leasing/zoning/construction tests. Often, the three-site search ring (called “candidates”) is adequate to allow the real estate department (also called site acquisition) to do their job. Institutional landowners (federal, state, local governments, corporations, or universities). Institutional bureaucracies are extremely hard to lease properties from. Mountainous areas that are too expensive to access power or telco (high capacity data lines) infrastructures. 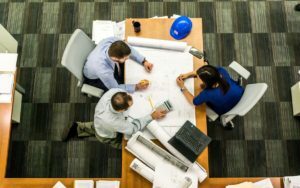 In many instances, three site candidates are adequate engineering selections to trigger the site acquisition team into action. The site acquisition team performs homework by reviewing title reports to see who owns what property, assess how difficult it may be to interact with some of these owners (IBM, Bureau of Land Management, or Farmer John Smith). Naturally, site acquisition specialists are human and will always seek the path of least resistance. If given three choices by engineers to choose from, the site acquisition specialist will always choose the landlord that is easiest to work with, yields the highest probability of success, is the most responsive to requests for information, and is willing to accept the lowest rent. In reality, ideal landlords are hard to find. The site acquisition specialist will study property title reports, make initial contact with property owners, arrange some site visits with architects, engineers, zoning specialists, and construction staff to ascertain which of the three candidates is primary, second, and third. This designation is important. It determines the amount of resources the wireless carrier is going to allocate to each property, particularly time and money, to advance their understanding and attachment to the site. If any one of the candidates fail to meet the build criteria, the carriers will move down the list to the next candidate. Knowing whether a property’s site is a primary candidate or a backup candidate is very important for a cell tower lease. If the site is secondary, discussions with the carriers may not go very far if the primary landlord satisfies all wireless carrier requirements. Are the cell tower antennas installed on your commercial building rooftop? This is called a “rooftop” cell site and it’s one of the best options for a cell tower lease. Another installation type is a “raw land site” (see below). While technically, a rooftop cell site is not a cell tower site, landlords often use “cell tower” to describe both rooftop and raw land sites. Rooftop sites tend to command higher rent than raw land sites do. This is because the wireless carrier does not have to build a tower to support their antenna facilities. Without having to build the tower, wireless carriers save money in tower maintenance, insurance, tower climbers (very risky and expensive work), FAA lighting, liabilities, risks, etc. Additionally, rooftop sites tend to be concentrated in the metropolitan areas where there are plenty of tall buildings to choose from. 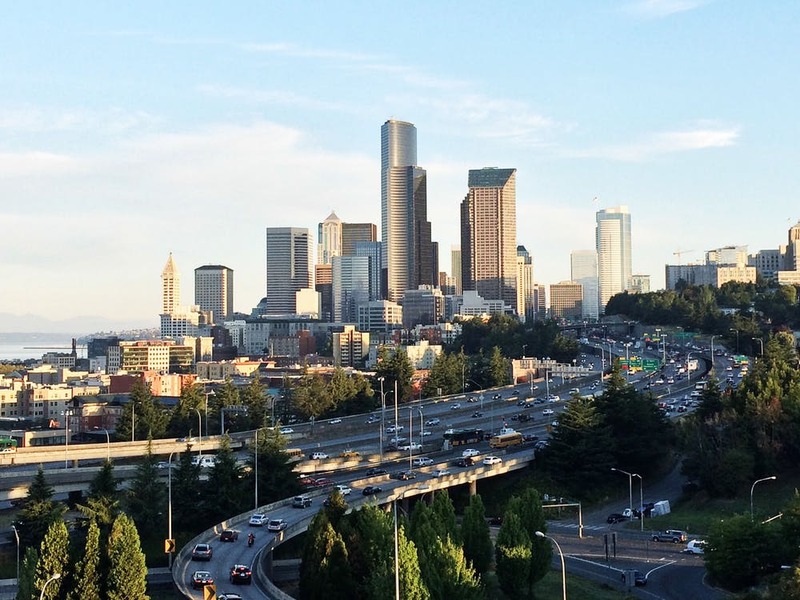 It is also much harder to gain jurisdictional zoning approvals in metropolitan areas, so rooftop sites often are the only choices available to wireless carriers. 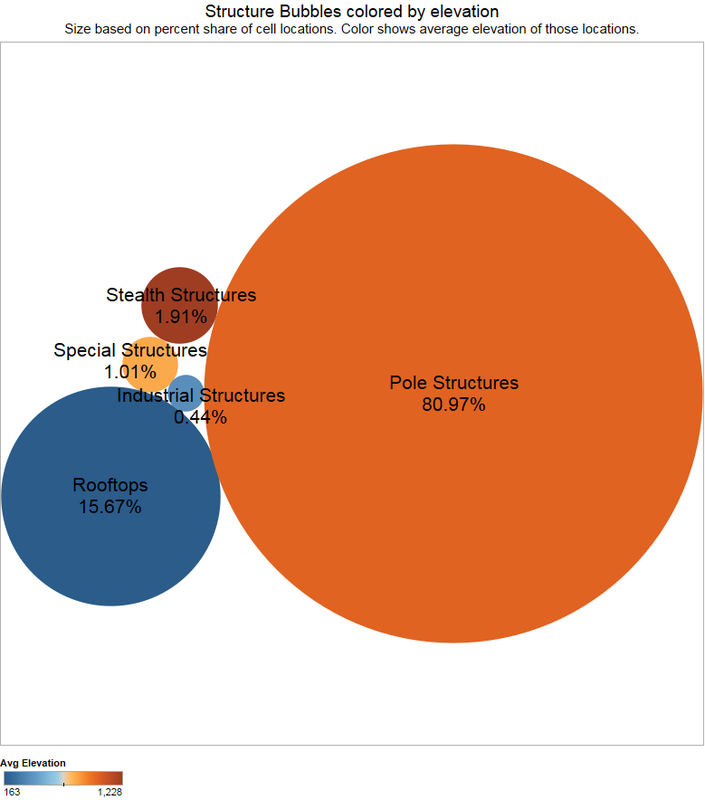 Rooftop installations do have their own degrees of complexities, including structural analysis to guarantee that the roof can handle the intense weight of the equipment (thousands of pounds in a few square feet), drilling through the roof, waterproofing, etc. These engineering challenges do not exist in raw land site tower builds. With increased demands and interruptions to the building’s structures, building owners can often demand more rent for rooftop lease rental rates than cell tower lease rates. Proximity of cell site locations to high concentrations of population is a good sign that landlords can command more lease rental revenue than more remote areas. If a cell site location is near major metropolitan areas,then cell tower lease rates will clearly be higher due to the value of the site to the wireless carriers. For example, downtown Manhattan, NY leases can command $4,000 per month in rent, while downtown Boise, Idaho can command $1,400 per month. In its simplest form, a cell site can process more calls, handle more internet traffic, and is cheaper to maintain (due to concentration of cell sites) in a highly populated area than in rural locations. For these reasons, wireless carriers are willing to pay high lease rates. It is also reasonable to expect that real estate costs are higher in downtown areas than in rural areas, so it is not surprising that major metropolitan areas with higher concentrations of populations do command higher rent rates than in rural areas. However, this is not to say that only major metropolitan areas can command high cell site rent rates. If a cell site is strategically engineered to provide excellent coverage over a concentration of population, such as overlooking a subdivision of tens of thousands of homes, then clearly the site is very valuable to wireless carriers. In that case, the property owners should be able to command a higher rent rate for cell tower lease. Conversely, if a cell site is designed in a low concentration of homes, even in a major city, the property owner may not be able to get as high of a cell tower rental rate as other towers can in the same city that covers higher concentrations of population. Often, large venues such as shopping malls, stadiums, airports, and convention centers can host a significant amount of people in a very limited space. These events tend to drive a tremendous amount of data consumption by cell phone users through the use of video uploads, emails, messaging, photo sharing, etc. that would overload any traditional macro (outdoor) cell tower infrastructure. For that reason, all wireless carriers must have special overlay systems that can handle venue-related cell phone data and voice traffic demands. Landlords with properties closest to popular venues tend to command higher cell tower lease rents than average. To support this high concentration of users, wireless carriers build in-building cell antenna systems internal to the building structures to cover cell phone traffic from the inside of these concrete and steel structures. But there must be an equally significant system external to these venues to support the same number of people entering and leaving these venues. 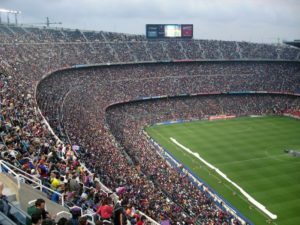 A 60,000 person venue must have cell traffic capacity for 60,000 people inside the stadium, and 60,000 people outside the stadium as the same people bus, drive, park, and walk to and from the facilities. In-building systems are often negotiated with facility owners (NBA, NFL, City Convention Center Agencies, etc.) But external to such facilities, wireless carriers must build cell towers external to those venues on cell tower monopoles or surrounding building rooftops. Landlords of such locations tend to have strong negotiating positions with wireless carriers. However, to balance the equation as to not allow cell tower rental rates to be too high, wireless carriers have a lot of buildings to choose from as they balance between the need to lease the most “perfect” cell site locations against the need to pay the least rent for cell tower lease sites covering special venues. Popular venues can be places of interest, corporate campuses, national parks, university campuses, ocean beaches, nationally famous race tracks, marathon race routes, etc. These locations do not require the intensity of a special network such as malls and stadiums venues, but they get the same amount of attention from wireless carriers because while they serve fewer people than stadiums and convention centers, they are used more often. Wireless carriers and cell tower companies do want to provide great cell coverage at these locations. In order to provide the desired high-quality coverage, the natural place to lease space is inside of those locations. However, getting cell tower lease space at beaches, university campuses, and stadiums is extremely hard to accomplish. This is because these locations value security and aesthetics more than a few thousands of dollars a month in rent. Additionally, the bureaucratic nature of institutions makes it extremely difficult to achieve any cell tower lease contracts in acceptable time frames. It is not uncommon for a leasing discussion to take place over a course of four to five years, without any certainty that a lease will be signed with these institutional owners. For this reason, wireless carriers (via their contract site acquisition specialists) favor going to the perimeter of these venues and leasing wireless cell tower spaces from private landowners, and shooting signals into these locations. At just about all international airports in the U.S., privately owned buildings such as hotels and tall office space rooftops are used as antenna facilities that radiate wireless cell phone signals into the airports themselves to cover waiting areas, gates, check-in’s, parking structures, etc. Thus, property owners whose facilities meet these criteria can often command higher cell tower rental rates than average. But knowing what the competing buildings’ rooftop values are to the wireless carriers’ engineering plan is important in assessing whether a site is a primary or secondary candidate in the overall engineering plan. It is not enough to know that a certain property is providing perimeter coverage to major venues. It is equally important to understand what alternatives are available to wireless carriers and tower companies so that too high of a rental rate demand would push the wireless carriers to a neighboring rooftop or parking lot. One of the primary RF design criteria is to provide mobility coverage without dropping phone calls for a growing population that now spends more time than ever in their vehicles. Engineers accomplish this by placing cell sites near freeways and highways that have the highest daily car count. Traffic congestions also play into site placements and designs, as traffic jams do cause a high volume of phone calls and data usage. Improperly planned cell site placements will cause congestions, dropped phone calls, and low data throughputs, which result in poor customer experience and lost wireless customers. Therefore, cell sites which meet the engineering criteria of being adjacent to freeways and highways do enjoy a higher cell tower rent rate on average. However, being next to a congested road does not necessarily make the cell site a mobility site. Its placement, relative elevation, morphology, antenna directions (azimuth), and radio counts will tell a better story as to the purpose of the cell site. Because the wireless RF technology is primarily a line-of-sight technology (cell tower antennas need a direct line of sight to cell phones to optimally perform), engineers frequently place cell towers in road bends to be able to “look” in both directions of the bend. Another method is to space cell towers out at optimal spacings of a few miles apart to most economically provide highway coverage. Engineers do not want to place cell towers so far apart that calls cannot hand off from one cell tower to another, resulting in dropped phone calls. Conversely, engineers do not want to place cell towers so close to each other on freeways that they overlap each other’s RF coverage, resulting in excessive cell towers required to cover the stretch of highway. Wireless carriers over the years have struggled to build connector cell towers that connect one community with another to provide seamless cell phone mobility. On the one side, developing sites in the core metro yields the greatest return on investment for a cell tower lease because of the high concentration of users in downtown areas. However, the greatest customer complaints come from the lack of highway coverage between certain cities that logically should be connected on the freeways and highways (coastal roads, backroads connecting the adjacent cities). These mobility sites create the greatest customer satisfaction to a fewer number of customers at a higher cost. To continue to boast that certain carriers have the “largest network in America”, they find that they must continue to build cell sites to more rural towns across the U.S. These are cell tower locations where carriers try their hardest to reduce monthly rent rates for cell tower leases. Their negotiating tactics usually involve them telling property landowners that the town has very low population count, and that the carriers cannot make a profit if they must pay cell tower lease rates that matches those in the cities. This method is usually successful with unsuspecting landlords because they are backed with real numbers that look logical to landowners. However, the unspoken fact is that these cell towers are almost never intended to provide cellular coverage for these small cities. They are designed to provide mobility coverage only for cell phone users traversing the highways and freeways. So the focus should be on the number of daily vehicles frequenting the stretch of highway, the importance of connecting the “smaller” town to the bigger city, and the importance of the smaller town (vacation destinations, large subdivisions, political influence, etc.) per the carrier’s marketing plan. One of the best ways to determine this is to view how this site is designed relative to the surrounding cell sites in the same area. While the site acquisition team may not disclose the carrier’s full intentions, their macro RF designs will clearly communicate the carrier’s true intentions and relative importance of a particular cell site for purposes of determining cell tower lease rates. Site acquisition agents are trained in using small-city statistics to convince land owners to agree to low cell tower lease rates. For the most part, this technique is effective in driving down lease rates for freeway and highway cell sites. Cell tower lease values are directly correlated to how much cellular traffic (call volume and data capacity) it carries for the carrier. Though, not all high-value cell sites translate to high-rent for the wireless landlords because they may not understand factors affecting cell tower rent rates. One example is traffic congested locations where high concentrations of vehicles predictably jam up twice daily during commute hours. RF engineers design cell sites to process this volume of cellular traffic as to not create congestions and dropped calls in the network. Cell sites that are designed for capacity offloading will handle a high volume of calls and data, and thus are very valuable to the wireless carriers. These sites are important because they must be strategically placed close to the point of congestion. Often, engineers will not design three candidates in this search ring. They merely demand that the real estate department obtain a cell tower lease at a specific location. In this arrangement, landowners can negotiate a higher rental rate than usual if he/she understands that the site is a capacity offload site. Zoning regulations on the subject property play a crucial role in determining whether a cell tower can be built on a particular location or not. In practically all locations in the United States, each parcel of land has a zoning designation that defines its permitted use. For example, residentially-zoned properties cannot support commercial activities. This is the reason why we will not find gas stations or 7-Elevens built in subdivisions. The same logic is applied to telecommunication structures and cell towers. They can only be built in certain zoning districts as defined by the city or county that defines such uses. To determine whether a particular property can support a cell tower or rooftop antenna system for telecommunication system, the local land use planning office will have the answer. All the property owner would need in order to get a cell tower lease is an address or tax parcel ID when discussing with the Planning Office personnel. Suppose a property is zoned for commercial and/or telecommunications uses, it is imperative to investigate whether the neighboring properties also receive the same zoning designation. This is important in determining cell tower rent rates. If surrounding properties are not zoned for telecommunication use, then the subject property is considered to be the “only game in town”. That has significant financial advantage to the property owner if they understand how to monetize the advantage. Thus, a true cell tower rent value assessment on any property necessary requires the zoning assessment of surrounding properties for their competitiveness. In order to properly assess the cell tower lease rates of your property, it is important to understand whether your property has any competition and how strong the competing (neighboring) properties are with respect to their ability to be viable alternatives to your property. As discussed above, competitive zoning assessments must be made in order to understand whether the wireless carriers truly have other options outside of your property. Another important competitive assessment is to identify the competitive advantage your site has and whether there are other cell tower lease sites that can offer similar attributes that would compete with your site. For example, if a wireless carrier tells a property owner that they have three other cell tower candidate properties nearby they could pursue, the property owner must ascertain why they were approached by the wireless carrier in the first place. They may also wonder whether the competing properties have similar attributes that would make them truly comparable sites from an RF engineering perspective. Does the property have an elevation advantage that other candidate properties do not have? Is the property near the source of population concentration or traffic congestion that the engineers are trying to solve? Does the site have a line-of-site connection down both directions of the freeway? Is the site at the midpoint between surrounding sites? Would moving it would improperly distribute RF traffic and distort engineering plans? These are some of the assessments the property owners must make to fully understand how competitive their property is relative to all available options of the wireless carriers. Only through a thorough competitive assessment can anyone really understand the proper cell tower lease rates for any cell tower properties. If after a thorough assessment, it is determined that other candidates are better engineering choices for the carriers, this will drive down the rent rate to entice the carriers to move to your location. Conversely, if it is determined that competing locations are inferior to your property from the zoning, engineering, construction, and operational standpoints, then landlords should be free to point this out during lease negotiations to obtain higher rent rates for the cell tower lease. There are many communities across the country that openly oppose the construction of new cell towers in their neighborhood. The industry calls this NIMBY (Not In My Backyard) syndrome. That is, everyone wants great cell phone coverage in their homes, but many do not want towers built in their neighborhoods. Savvy property owners can use this to their advantage to maximize their cell tower lease rates. Often, in these communities (high-value homes, new subdivisions, and waterfront/lakefront communities), wireless carriers can spend years working on dozens of cell tower candidates only to have neighbors attend zoning hearings protesting such builds and have planning boards or city councils deny such applications. If eventually a property is found as a compromise to meet the requirements of a cell tower project (supported by the neighborhood, zoning board, RF engineers), wireless carriers will protect this site and place a high value on its location in the engineering network. An observant and savvy property owner could use this information to negotiate a higher monthly rent amount for the cell tower lease, knowing that the property is the “only game in town.” However, many property owners do not understand how to monetize these subjective and emotional factors during lease negotiations to maximize the value of their properties through increased rent rates. 12. What About the Signing Bonuses Offered? Wireless carriers and tower companies like to sweeten their offers with signing bonuses on lease extensions. A $12,500 signing bonus is pretty common. This is designed to distract landlords from the real material terms at hand when negotiating a lease extension. A $200 difference in monthly rent rate over the life of a lease with standard escalation is worth $326,000 to the property owner. So that $12,500 signing bonus is looking pretty silly in context of what the landlord is giving away. When negotiating a transaction that spans 25-50 years in the future, the only way to truly comprehend the interdependencies of cell tower rent rates, annual escalations, term escalations, bonuses, etc. is using computer models to find out what the true net present value is to the landowner. At CellWaves, we build financial models that help us compare offer scenarios to determine what is best for our Landlord clients. We don’t guess at it because the human brain is not designed to calculate and compare dozens of financial variables in our heads accurately. We rely on financial models to guide us in our negotiations, and that’s how we are able to communicate with our clients in black and white what is in their best interest. Wireless carriers often contract out the wireless leasing work to site acquisition firms. This is true for new raw land sites, rooftops, site modifications, lease extension, even rent reduction (lowering of monthly rent) negotiations. Contractors are motivated to drive down cell tower lease rates because their compensation is directly tied to their ability to reduce wireless rent cost to their employers. In many cases, these “lease optimization” firms use scare tactics to reduce rent rates by telling landlords that the lease would be terminated if the landlord is not agreeable to reducing rents for the next 25 years. Site acquisition firms are given two directives whenever they are retained by wireless carriers in negotiating lease extensions or site modifications: (1) extend the lease at least two years prior to current lease expiration so there would be no interruption in leasing rights and (2) pay as little as possible moving forward. Under Directive #1, carriers do not want the lease to expire because they technically would have to turn off the cell site and remove the tower and equipment per the terms of the lease. This interruption of service is to be avoided at all costs. Under Directive #2, carriers offer incentives to lease optimization firms by paying them more if they are able to negotiate lower monthly cell tower lease rates and/or lower annual escalations. These firms have discovered that the most effective ways to obtain these objectives (thus maximizing their profits) is through “the carrot and the stick” approach. The “carrot” is to offer a signing bonus to landlords. But when amortized over 25 years, landlords often get a few dollars a month, in exchange for a larger loss of annual increases or higher monthly rents. The “stick” is that if the landlord is not agreeable to accepting the lower rent amount or reduced rent increase, the wireless carrier will not renew the lease and in effect, terminate future rent revenue to the landlord. Site acquisition agents choose the various techniques based on their assessment of the landlords and how receptive they may be to these approaches. The very first assessment performed by CellWaves for our clients is reviewing the engineering design of the subject property to see how valuable and competitive it is to surrounding cell sites. Through this assessment, we have a good understanding of the importance of a cell site and whether a carrier would terminate the cell tower lease relationship due to increased rental costs. CellWaves’ database contains all cell towers across the country, their heights, azimuths, and through satellite imagery, GIS systems, and morphology, we are able to evaluate the wireless carrier’s RF engineering designs relative to a property address or latitude/longitude locations. Having a good understanding of how a particular cell site integrates well (or not so well) with the macro cell site design helps determine the value of a cell site to the wireless carrier. This, in turn, helps determine the value of a cell tower lease when assessing the monthly rental value of a site. Specifically, if your property location happens to be geographically central to the surrounding cell sites and has relatively good ground elevation relative to the neighboring cell sites, then there is no reason why a wireless carrier, or tower company such as Crown Castle, ATC, or SBA, should be demanding reduced rent. In fact, proper independent assessments of the cell site through evaluating their zoning, leasing, construction, and engineering alternatives will help determine an accurate monthly rental amounts for cell tower lease. Unfortunately, too many novice negotiators who have learned the business through real estate transactions do not understand the technology behind wireless communications will end up basing the future rent value by referencing old rent amounts. We believe mistakes made 25 years ago in setting too low of a rent amount should not be carried into the next 25 years. Independent assessment of what the site rent should be if it were to be built today should the test. Every cell tower will consume a large amount of power to operate power-hungry radio transmitters, air conditioners, and power/telco electronics. A typical cell tower will have three-phase 480VAC with 400 Amps of current to keep it operational. This is required to power wireless carriers base stations that amplify RF radio signals to all the antennas, power and telco equipment, E911 services, uninterruptible power generators and their switching stations, continuously charging of massive amounts of batteries storage capacity, and to power all other ancillary equipment to keep the cell site operational 24×7. Having easy access to the cell tower compounds through public right-of-way and private utility easements is important for the carriers to be able to run the necessary power and telco infrastructures. The cost of trenching and running power to a cell tower location plays a role in determining the worth of a cell site based on its cost, and the coverage value it brings to the wireless carriers. During the evaluation phase of a cell site, all departments conduct a “site walk” that includes staff from zoning, leasing, construction, network (power and telco), architectural, and engineering (A&E). At this stage, the construction team conducts an evaluation on what it would cost to construct such site to meet engineering specifications (height, azimuth, quantity of antennas, size of antennas and zoning conditions (stealth, paint, height, façade, parking space, landscaping, etc.). This price tag plays a role in determining the value of a cell site, and thus the rent amount of a cell tower lease. If a cell tower costs $400,000 to build, and the neighboring property costs $350,000 to build, then the more expensive property gets lower rent because its extra construction cost gets amortized over the expected life of the lease (assuming it is not terminated early by the wireless carrier). That monthly amortized amount influences the rent rate that is offered to the property owner. Conversely, if a property costs a lot less to build and coverage value is the same as competing properties, then the property is worth more in monthly rent to the wireless carrier. However, knowing your competing cell sites’ construction costs gives you a negotiating advantage over everyone else. Having insider knowledge will help you understand how much the carriers value your cell site, and thus affecting the lease rates. It is essential that power and telephone lines (high capacity fiber optic cables), or microwave dishes to carry network signals back and forth to the cell tower are available to any cell sites. Otherwise, the locations are useless to all wireless carriers. The need for commercial power is obvious. All sites will require battery backup, and their sizes will vary depending on the relative importance of the cell site in the network. A number of core sites will receive diesel power generators as backup power supply. But in 99.9% of all cases, commercial power as a primary power source is a requirement. Thus, the ability to trench to the nearest power and telco poles that have the capacity to take on the additional cell tower load is crucial to all wireless carriers. Additionally, the cost to do so must be reasonable. Excessive cost due to terrain or limited property rights (legal limitations, conflicting easements, land disputes) can sour a carrier’s interest quickly if it cannot be resolved promptly and at reasonable cost. In the initial communications conducted with property owners, site acquisition specialists will evaluate property owners on many aspects to ascertain how much to offer in rent and the terms to be negotiated. The site acquisition specialists will assess landlord friendliness (how easy they are to work with), interest level (their desperation factor), responsiveness (how fast or slow negotiations are), education level, will he be represented by a professional (lawyer, consultant, family members), knowledge of real estate terms, and level of experience with cell tower leasing. Landlords who exhibit a degree of desperation and are ill-prepared to negotiate at a professional level can expect to have lower initial offer on their cell tower rent rates. Once an initial rent rate has been communicated, it is very hard to move dramatically from that position. For example, if the initial offer is $1,000 per month, it would be very hard to move to a $2,000 rent rate (100% increase). But if the initial offer was $1,800, it is easier to get to the $2,000 tower rent amount (11% increase). Site acquisition specialists are cautious around more sophisticated property owners because they do not want to offend him with statements or offers that may be summarily rejected. Every statement and offers are well thought out and has facts and data to support the site acquisition specialist claims in case he/she is challenged by the sophisticated landlords. In the world of wireless leasing, property owners who are lawyers, commercial real estate owners of large buildings or multi-buildings, corporations, and government entities are presumed to be “sophisticated” unless the are proven to be otherwise later. This group of people tend to have representation by real estate lawyers (who almost always lack technical skills in RF engineering) or industry-insiders with RF engineering, architectural, and leasing experience (CellWaves personnel). When this happens, the lease terms and rent rate offers tend to be more realistic at the beginning (instead of being “low-balled”) and the lease terms tend to be highly negotiated. Carriers have come to expect and accept this over the years, and have built in extra months of negotiations into their scheduling when the property owners are represented. Being represented by qualified technical lawyers or experienced industry-insiders almost always assure that property owners get the best cell tower rent rates and non-financial terms possible when compared to unrepresented landlords. It is human nature that when people like each other, they tend to cooperate and help each other. The same goes with negotiations. The site acquisition specialists are compensated based on how low they can convince property owners to agree to the rent amount, but one transaction won’t make or break them. They are still susceptible to human emotions of liking someone and wanting the most for them, or disliking someone and want the least for them. A. Know it all: Some landlords are viewed as a know-it-all but (and almost always they do not). Site acquisition specialists do not like this group because they waste a lot of time expounding on what they know to impress others. What they say usually is not current or incorrect. But all site acquisition specialists are taught to listen but not engage. Action: Offer low rent. B. The Uninformed: The elderly or helpless “little old ladies” fall into this category. Action: Offer medium rent as they will not negotiate. C. Farmer: Farmers are usually perceived to be easy targets. Farmers usually have large acreages, in some cases thousands of acres, so to them a 100’ x 100’ space is small. But to a wireless carrier, that is a gigantic amount of space. Additionally, farmers historically have not been negotiators and do not use representations (lawyers or wireless consultants) to help them through negotiations. Action: Offer low rent ask for lots of space. D. Professional: This group contains lawyer, commercial real estate developer. This group tends to take a long time to negotiate or ask for everything. They are well-informed on the worth of their wireless property, and they know which property rights to not give away in negotiations. This group is almost always represented by professionals (lawyers or consultants). Site acquisition specialists give this category more credits than they deserve in their level of expertise. Because these professionals know more about real estate than the site acquisition specialists. It can be intimidating. Action: Offer medium to high rent as to not offend these landowners or be ignored by them. E. Institutional Owners: This group contains government properties, national franchises, and large businesses. This group always negotiates through their lawyers. They take years to work out an agreement, if at all. They have strict rules on what can be done to their property, rules of work hours, security requirements, and sometimes require technicians to be escorted through the property (and charge the carriers for it). Action: Offer high rent to interest them. But money usually does not move this category of property owners. It is public service, constituents, process, rules, laws, security, aesthetics, etc. that define their actions. “Site acquisition specialist” (also known as “site acq.”) is the title the industry gives to people who knock on doors and negotiates rent on behalf of wireless carriers and tower companies. They are given guidelines as to how much land to ask for based on property types, access rights, placement of equipment and antenna locations most advantageous to the carriers, and a range of rent to offer based on number of criteria (all listed here in this Wireless Rental Guide). They are to create a trusting relationship with the landlord so that it would be easier for other wireless carrier team members to negotiate the rest of the lease. They may not like the landlord, but they will say/act/do whatever it takes to create that trusting relationship with the landlord because they will need it to close the transaction. As soon as the basic terms are understood and agreed to by the landlord and the site acq., this information will be relayed back to their wireless carrier lawyers, who will put together a contract that uses standard terms and templates that is used by that lawyer. The interesting thing is that not all AT&T, T-Mobile, Verizon, or Sprint leases are the same, even if they were written at about the same time, by the same carrier. Different markets and regions have flexibility in how they craft certain wireless lease languages, based on their Market and Regional requirements and the writing styles of that local lawyer (in-house or contract lawyers). However, all their contracts will have the same terms in them (duration, rent amount, access, rights-of-first-refusal, non-subordination, indemnification, interference). How they write is different. Their lawyers argue that there are differences in laws from one market to another that warrants them having the full flexibility to write their own lease languages. At CellWaves, we see some wireless carrier markets write a full page of interference clause, while another market for the same company would just write one small paragraph. The fully assembled lease will then be given to the site acq. to present to the landlord for approval. The interesting part about this process is that the lease terms that were agreed to informally (verbally or in an email message) will NOT be the same as the written lease that is sent over to the landlord for the first draft. At CellWaves, we have never seen it to be the same in a first draft. There will be new terms that were never discussed before with the landlord inserted in the first draft. Unsuspecting landlords will just comment on a few things and sign the lease. Then years later, they want to do certain things to their property to discover that they cannot, not without permission from the tower company or wireless carriers. In our experience, 90% of the wireless lease negotiations work starts when the first draft of the lease is received from the wireless carriers. If the site acq is a “company man” then they will try to convince the landlords that “these are just standard terms in all contracts” and down play any concerns raised the landlord. This is because the site acq. wants to have the lease terms stay as favorable as possible to his/her company. Occasionally, there are site acqs. who just want the lease to be signed and know how far their employer will go on certain terms, and will “guide” certain landlords to certain areas so that the landlord feels good about having changed some terms, which will speed the leasing process. The landlord’s perceived relationship with the site acq. influences certain terms of the wireless lease. How much it influences depends on how real that relationship is. For example, if a site acq. tells the landlord: “I like you a lot. You remind me of my grandma when she was alive. Please, let me help you. You need to ask for $1,250 a month. You need to ask for 2.5% escalation. You need to cross these words out. I know they will accept this. Please don’t tell anyone I said any of this or I will get fired.” Was the site acq. helping the landlord, or was the site acq. helping himself? This is a pretty common strategy to win over landlords by many experienced site acqs. All leases have alerts built into the wireless carriers or tower companies’ databases that, at about five years before the lease expiration, the real estate department is notified to get the lease renewed (called Lease Extension). Wireless carriers tend to contract this work to vendors and bonus them for decreasing the rent or not paying any rental increases for the next 30 years. Tower companies tend to keep this work in-house, operated by a team of Leasing Specialists and a “Closer” who handles the paperwork. This area is a bit complicated in how it is played out to the landlord. The initial offer by the carriers will be scary (reduced rent, or no rent increase, or if they must, small rent increase only – but at a cost somewhere else in the lease). If the landlord is not agreeable to the new demands, the letter will state, “we can’t be sure that we will continue to operate at your property location.” They did not say “we will leave.” They just need to put doubt in the landlord’s minds that the rent revenue may disappear soon. This usually will scare about 70% of all property owners. The other 30% will negotiate and ask for market value rent. But lacking specific data on how valuable (or not) the cell site is to the carrier, there is no way to ascertain the real market value of the cell tower. The complexity surfaces when the carrier (or its contractor) goes away for a long time. The landlord now worries that he has killed the golden goose. When the landlord negotiates, he just identified himself as a 30% group and not the “low hanging fruit” as the 70% group, so they will move on to other landlords. This is logical to the carrier because why would they negotiate a higher rent with a landlord when they still have some five years of low rent left on the current lease. Many landlords misread this silence and give in too soon, only to discover that their lease rate has not really moved since when they negotiated it 25 years ago when the industry was small and not profitable. Today’s wireless industry is highly profitable, only because their real estate cost in leasing land and rooftops from property owners have not increased at the same rate of real estate appreciation seen in the past 7 years in the U.S.
On a new build, whether rooftops or raw land sites, viable competitive options do have a negative effect on rent prices. This is simple supply and demand. When there are three suppliers (landlords) and one buyer (carrier), they can get the price down. So, the most important action a landlord must do is to understand how much competition is out there. Are the landlords there “willing” landlords? Which locations will be most opposed by the neighbors (highly visible) and which will be more acceptable (hidden amongst the trees)? What are the conditions of zoning approval for each location? Which location can meet the conditions defined, and which cannot? What is the cost of construction for each location? What is the availability of power and telco, and the costs associated with bringing them to each location? These and other questions relevant to the approval and cost of constructing each site is extremely important in understanding how valuable one property is relative to the adjacent properties. Only then, along with cellular traffic volume studies, can one be sure what the real market value is on the cell site location. Engineering designs start from a macro system, then finetune to more refined coverage. For example, when a carrier decides to provide coverage to a town or city, it starts with a macro design by defining what areas will be covered. That would include highways, freeways, shopping malls, stadiums, universities, industries, commercial areas, and residential concentrations. Not all areas will have coverage initially, and a coverage definition must be created to draw a boundary as to how far a market launch will go. This is merely an economic reality, and time restrictions are in place because carriers must launch a market or territory in a given timeframe with a set budget. Over time, carriers learn more about their designed system performance seeing how real data (call traffic) is used on their network. They then begin to fine tune the system with upgrades, antenna changes, capacity adjustments, frequency changes, and infill sites to cover what they missed in the first design. In an established network, infill sites are intended to fix what coverage holes or data speed issues that should not have been there before, but for zoning, leasing, construction, budgetary, or timing issues that prevented the carriers from building them in the first place. Infill projects today make up about 70% of call new site builds in the U.S. today. How much rent a land owner is able to command on a wireless lease depends on how important these coverage issues are to the carriers. The general rule of thumb is the more ground space or rooftop space that is made available for the carriers (or tower companies) the more rent the property owner will receive. But do not expect this relationship to be linearly proportional. That is, 20% more land does not equate to 20% more rent. In fact, once the amount of space surpasses what the carrier needs, often offering more space is a waste of resources to the land owner. Strategically, carriers and tower companies should never be given more space than they require. This gives the property owner leverage to ask for more money when site expansions are required in the future by the wireless tenant. Knowing the application the site is used for, the services they are offering, and how the carriers intend to operate the site will disclose how much land they really need. While it is easy to focus on hard criteria used by carriers to gauge impact on cell tower rent rates, too often the impacts of relationships are overlooked. Chemistry is key. Some people just click well and enjoy working together, and as a result, fair dealings tend to be the outcome from such a relationship. If, for some reason, the site acq. specialist does not like the landlord, it is understandable that he/she will not push the site to be the primary candidate. The site acq. specialist may be indifferent as to the outcome of the negotiations and as a result, will offer low rent to the property owner. It is important to maintain a professional and friendly relationship with the site acq. specialist because they are the landowners’ main interface. We discourage property owners from acting “know it all,” hard charging negotiator, or acting condescending to the carrier representatives. Doing so will only hurt the very relationship that is to generate income for the property owners. For a “coverage” site (designed to maximize RF reach, such as on a freeway) geography plays a very big role in the value of a property. Cell towers are expensive to build, so engineering designs must be efficient in order to minimize the number of cell sites required to provide seamless cellular coverage. On a terrain that is filled with hills, bending roads, trees, valleys, and other natural or man-made obstructions, engineers employ strategies to maximize the value of each site that gets built. To maximize the reach of RF signals from each antenna, it must be able to “see” to where the cell phone users are. The frequencies that the PCS cellular operate in the U.S. (as defined by the FCC) is often called “line of sight” technology, which means that the antennas must see the cell phone, or the cell phone must see the tower antennas in order for there to be great cell coverage (good call quality, good hand-over between cell towers when traveling, fast download speeds.) This is why in-building coverage tends to be very problematic because the towers cannot see indoor users unless it is very close to the building and can blast the signals through the walls and roofs. For this reason, engineers always pick the high spots on the freeway to build towers. If a freeway goes over a hill, a good engineering design is to place a cell tower at the top of the hill. This way, the cell tower can see down the freeway in both directions and maximize its reach. If a freeway has a bend, a good engineering design is to place the cell tower at the bend itself to be able to see on both sides of the bend. Once landowners understand these engineering principles, and how their properties fit into such designs, the better they will appreciate the value (or lack thereof) of their property as it pertains to RF engineering. Wireless carrier cell site development teams will only act on the selections of the RF engineering designs. Carriers do not allow real estate contract negotiators to select locations because that would basically make real estate agents become RF engineers. However, these real estate agents (site acquisition specialists) do have the latitude to select sites within an area defined by the engineers. For example, an engineer would draw a circle around a geography and say, “we need to be on that hill.” It would be up to the site acquisition specialist to select which property on that hill could be leased for the least amount of money. The trick, however, is that the site acquisition specialist must also select a site that can be zoned easily (without a lot of opposition from neighboring properties and still meet zoning codes), constructed at a reasonable cost, and that power and telco can be brought to the location at an acceptable budget. While the selection process is well-defined and filled with rules and restrictions, there are a lot of flexibilities within each area. This is why the only people who really know how to balance between these factors are the carriers themselves (or people who used to work in these engineering/leasing capacities) because they know all the criteria and have all the experts on their payroll. 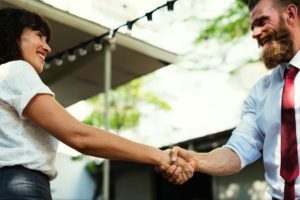 Landlords and ill-informed “consultants” often mistakenly see “lease negotiations” as one-dimensional variables involving just the rent amount. But in reality, cell tower rent rates can only be derived if one understands the variables leading up to that final number. An effective cell tower lease negotiator never starts at the obvious: financial terms. At CellWaves, we always start at the beginning: what is the problem the carrier is trying to solve, how big is that problem, if the property involved is the only one that can solve that problem, any potentially competing properties/landlords, what the zoning is like for this property, what is the zoning like for the competing properties, what would it cost to build a site on this location, what would it cost to trench power and telco (or build a microwave path) to this location. These and many other technical questions must be understood before we can effectively determine the value of the property to the wireless carrier. And that determines the lease rate. There’s just no other way to do this correctly. After having built thousands of cell sites for wireless carriers in the capacity of leading the RF engineering, leasing, zoning, and construction teams, we have never seen a “perfect” cell site. A perfect cell site would be one that is low rent, easy to zone, cheap to construct, meets all engineering objectives and high voltage power, and fiber optic cables are already on the property. In reality, some variables are great, while others are horrible. We may have a site that is low rent and easy to build, and it provides excellent coverage to a new 300-home subdivision. However, the zoning is horrible because it is near a school. We could have another site that meets all the development criteria (willing landlord, zoning permitted, easy construction, power and telco already on the property) but does not meet all the RF engineering criteria. To truly understand how these variable affect a property’s wireless rent or lease rate, it is imperative to understand which site development element has been compromised. The more a landlord can help a wireless carrier solve these problems (which they will not volunteer), the more valuable the property becomes. And that translates to high lease rates to our wireless clients. Another major factor in determining a wireless cell site current rent rate is how well the landlord negotiated the lease agreement. About 90% of all landlords will focus in on the rent amount immediately. But they lack the experience to know if $800 per month is a fair rent rate for their property. We have seen many leases that are at $300 per month. We have seen landlords negotiated a lease for $3,000 per year for the next 99 years without any increases whatsoever. We have seen it all. When two parties are pitted against each other to negotiate the best deal possible for themselves, without the bounds of ethics and morality, these are the horrible results that we see. In many cases, these leases are so ironclad that not even CellWaves can do anything about these unconscionable leases. Many landlords call us up to ask about their wireless leases they have negotiated, and we are just shocked as to how many landlords all across the U.S. have been taken advantage of by large tower companies and cell phone carriers. The best defense is for landlords to not enter into these lease agreements on their own. Instead, the best advice is that landlords need to seek professional wireless lease site development and engineering experts who the landlord trusts to orchestrate the lease negotiations correctly.